The Obama Administration has put the word out to the press they need help. NBC on its Nightly News was now reporting the number of people killed in the United States by guns on a daily basis. This is all about trying to manipulate the public into assuming that if they vote to disarm everyone, that will eliminate guns and end the violence. The bulk of the guns come in and are associated with drugs. There are drug wars and virtually every drug dealer needs to be armed to protect himself from other drug dealers looking to rob him or kill him. There are gangs that dress up as police and raid other drug dealer operations. Make drugs legal, you will end the violence, return the Latin American governments to their people, and watch how the streets will be safer just as what took place after prohibition ended. That was memorialized in the song the Night Chicago Died. 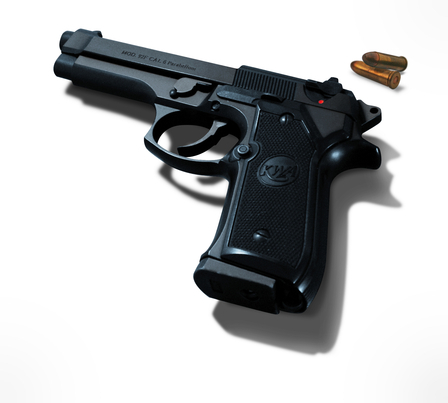 The most common prison sentence involves the simple possession of a gun or ammunition. Ex-Vietnam Vets who had empty shells made into a necklace were sent to prison for even possession of an empty shell under the theory they could refill it even if they had no gun. If you had a DWI in most states, Federally they can lock you up if you had even an empty shell and served in the war. It is not about DOING something with a gun, it is about the mere possession that is a crime on the books right now. Once you are locked up and it has been proven that you were not classified as a felon, the Feds still refuse to release you. They will NEVER admit they are wrong for anything. This is how they execute innocent people that they know are innocent but withhold the evidence and go have dinner after he is dead celebrating another notch in the belt.. The sad part is the game is afoot. They will enlist the media to spin stories to now justify Obam’s desire to disarm America so the only people with guns will be the real criminals and drug dealers. It is already a crime for them to just possess a gun and they still have them. So how will this somehow change anything? Just do the background checks like TSA does before you get on the plane. They can buy whatever they want on the streets anyhow. Do you really think drug dealers go to the store now? This is not about stopping violence for to do that, legalize drugs. This is all about manipulating public opinion for other reasons. They could care less how many people die. Its all about what is coming and they know what that is.